Lonnie Youngblood performs at legendary soul food mecca Sylvia’s restaurant, which is one of nine participating in the Lenox Ave. Restaurant Crawl on June 18. Red Rooster Harlem and Sylvia’s Restaurant are among nine notorious eateries that will be serving up drinks, appetizers and entertainment during the Lenox Ave. restaurant crawl next week. A percentage of the Crawl’s proceeds will go the the Sylvia and Herbert Woods Scholarship Fund, which helps Harlem high school seniors pay for a four-year college tuition. Other participating restaurants include Boulevard Bistro, Chez Lucienne, Corner Social, Cove Lounge, Les Ambassades, Native Restaurant and Ristorante Settepani. Tickets cost $10 and can be purchased at summersizzles.eventbrite.com. If purchased before midnight on June 17, they are available at a 2-for-1 rate. Tickets can be picked up at Native Restaurant, 118th St. and Lenox Ave., or Carver Bank, 75 W. 125th St. (just east of Lenox). The ticket grants admission to any participating venue. MANHATTAN — Harlem’s hottest nightspots and retailers will throw their doors open with special deals on meals and goodies starting on Friday. A total of 20 restaurants and retail stores in Central Harlem will offer three-course prix-fixe meals and select retail items for $20.11 as part of the Harlem Restaurant and Retail Month. 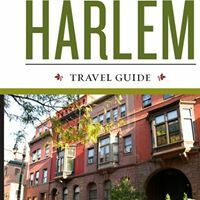 Participants include a who’s who of Harlem’s nightspots like Marcus Samuelsson’s Red Rooster Restaurant and Chez Lucienne on Lenox Avenue and retailers Harlem Vintage and the Harlem Flo floral boutiques on Eighth Avenue. The deals, sponsored by the Harlem Park to Park Initiative, will run through May 15.